You will need a balance of more than US$15/€10/£8 or the equivalent if using another currency in your NETELLER account to transfer it to your Betclic account. 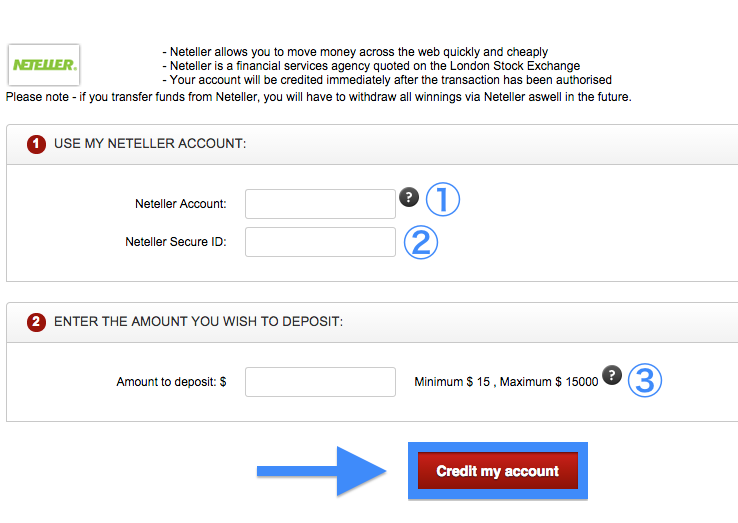 If you have not deposited US$15/€10/£8 or the equivalent into your NETELLER account, please refer to this page. 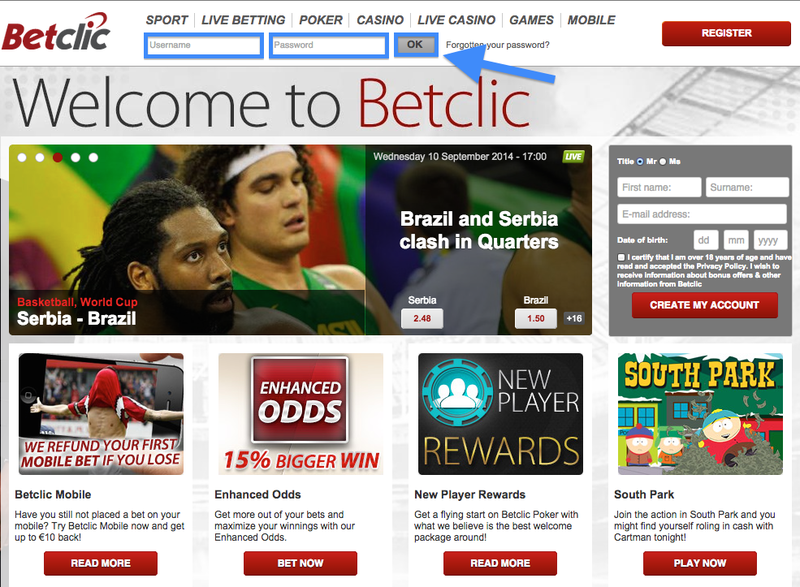 If you have more than US$15/€10/£8 or the equivalent in your NETELLER account, click the link below to access Betclic. After clicking the NETELLER logo, enter in your 12 digit NETELLER Account ID and 6 digit NETELLER Secure ID. Next, enter the amount that you would like to deposit (should be more than US$15 or the equivalent). Lastly, click the red “Credit my account” button to complete your deposit transaction. 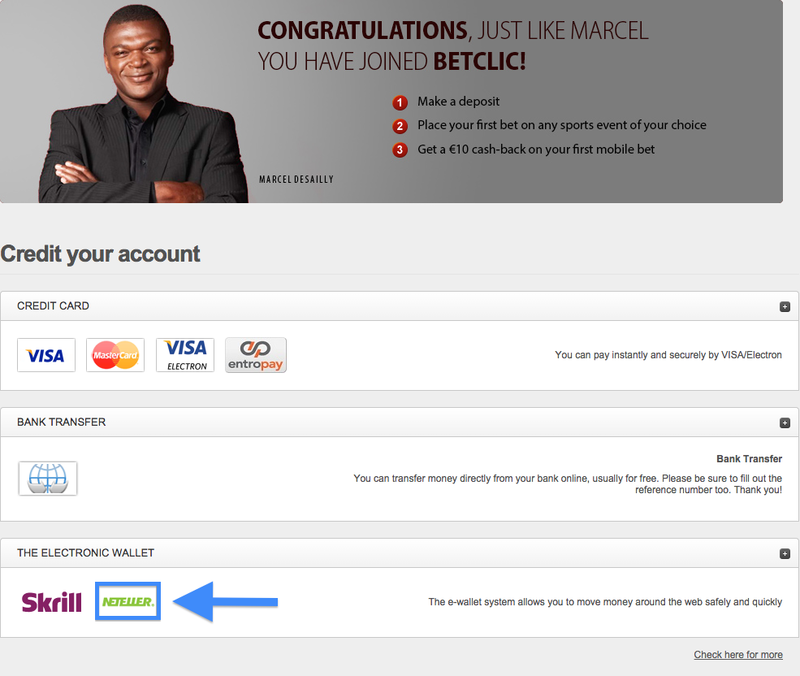 Want to send funds from NETELLER to Betclic? View here for a step-by-step guide. Plus, learn how to deposit and withdraw your money with NETELLER.